We are one of the respected names in the market of durg (India) and are offering amazing deals on our products. We package the entire range of products with industrial-grade wrapping supplies that are environment friendly and safe. Furthermore, the packaging is sturdy to protect against damage and to make sure the product is kept quality assured. 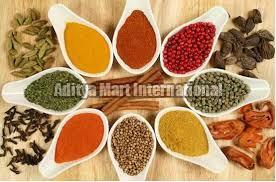 We deliver high-quality Indian Spices after a stringent quality review.